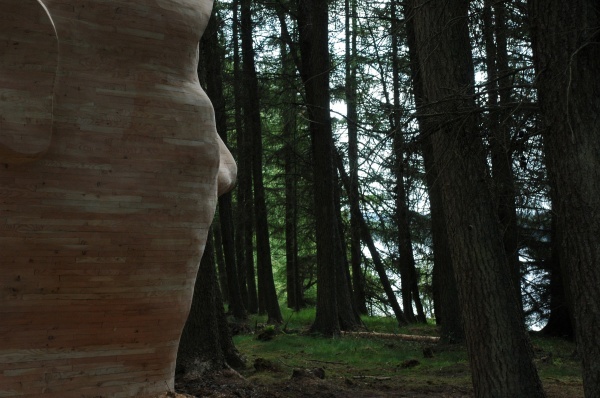 "The uncanny effect is often and easily produced when the distinction between imagination and reality is effaced, as when something that we have hitherto regarded as imaginary appears before us in reality" Sigmund Freud Silvas Capitalis (forest head) is a giant timber head located along the Lakeside Way created by American artists SIMPARCH. 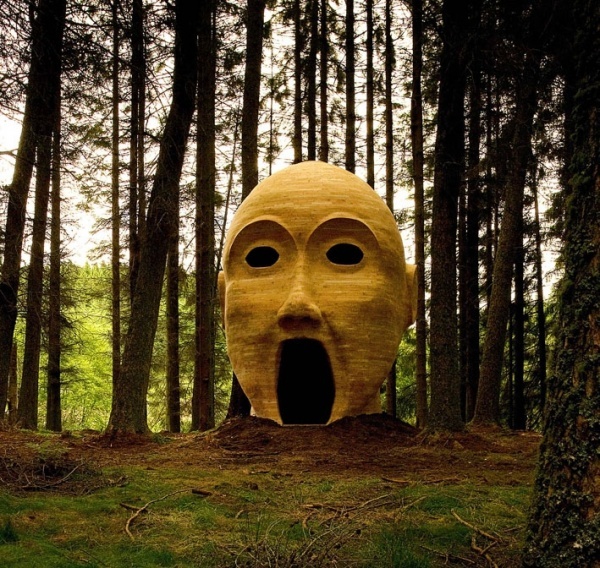 The head has been conceived as a watcher, an imaginary presence who has observed the passing occupation of the landscape over past millennia and who has also seen how environment has dramatically changed during the last one hundred years with the coming of the forest and more recently the lake. 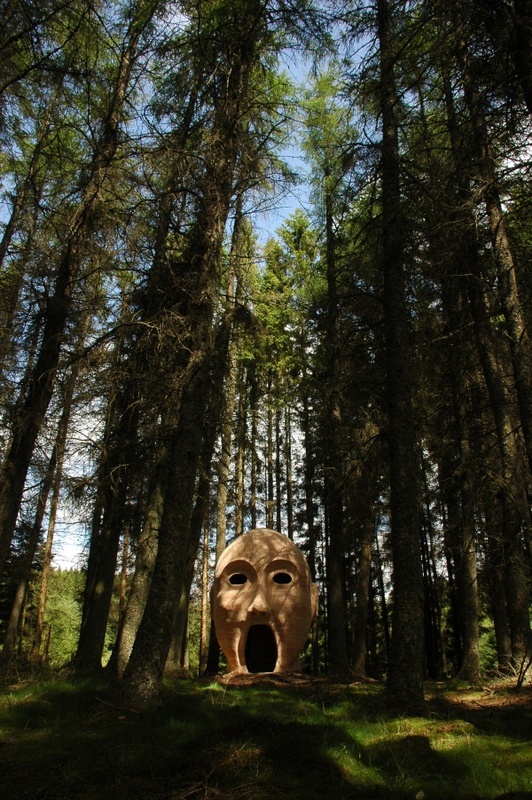 Members of SIMPARCH worked throughout February and May 2009 to fabricate and construct the hear in the forest. Silvas Capitalis has been made from approximately 3000 specially shaped pieces of European Larch and is glued and pegged together without the use of any screws or nails. 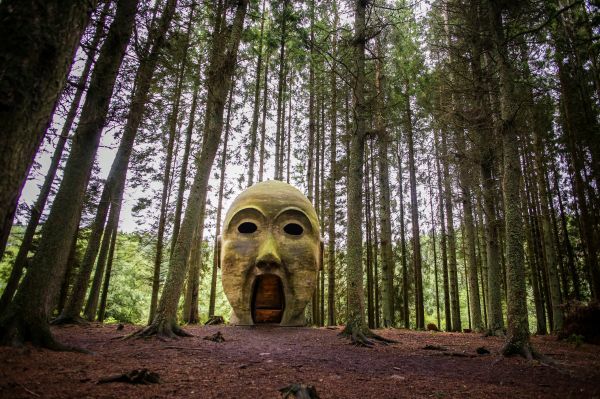 Visitors to the head who enter through the mouth and climb upstairs to look out of its eyes literally get inside its head. 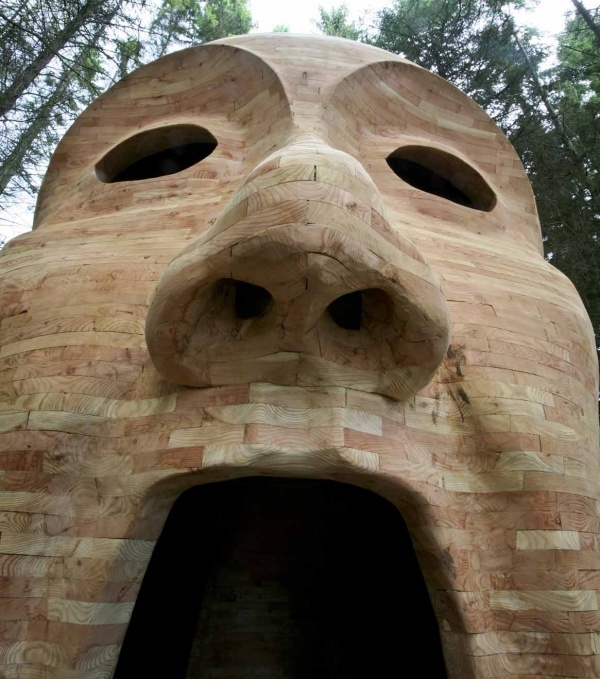 SIMPARCH returned to Kieler in spring 2018 to fabricate and install long-awaited ears for their muched loved sculpture Silvas Capitalis. 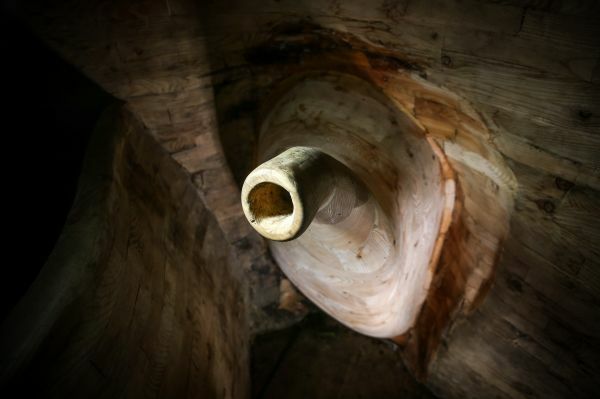 Working with the same larch timber that they made the main head from, the ears take the form of trumpets protruding into the head's interior. 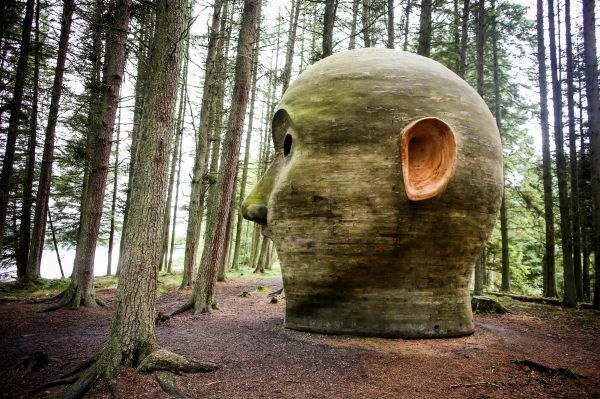 Visitors can now listen to the forest through the sculpture's ears, as well as watching through its eyes.